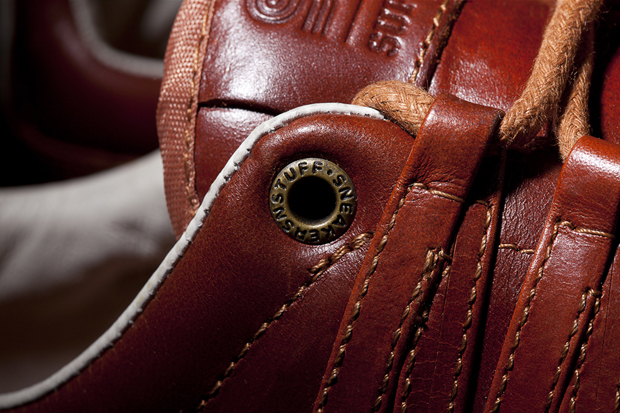 Tomorrow marks the release of the collaborative ‘Curry’ Owen shoe from Supra and Sweden’s Sneakersnstuff. Supra have created some stunning silhouette’s recently, much more inspired by classic running styles than their early designs. The Owen is one of those shoes and this ‘Curry’ rendition in full leather from Sneakersnstuff is a thing of beauty. 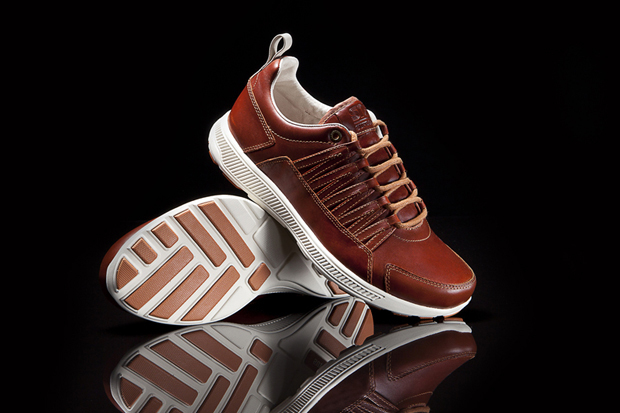 The luxurious vegetable tanned leather is a sight to behold in it’s rich brown and works really well on this silhouette. 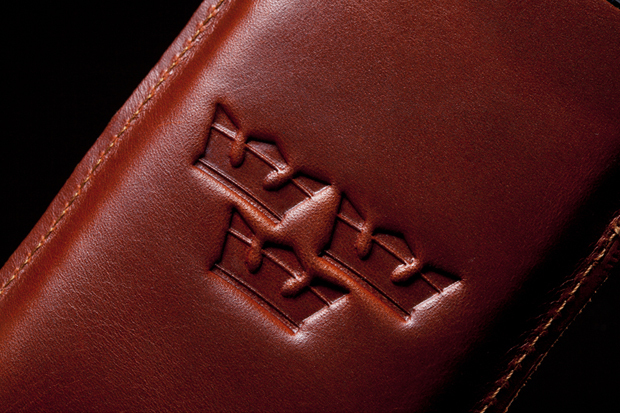 It’s the small details of collaborative branding that make this project however. 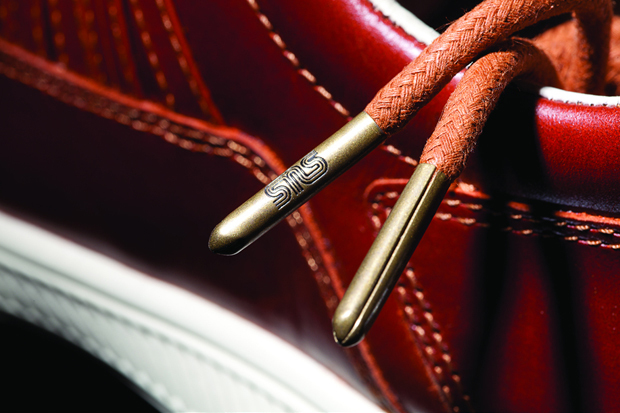 The embossed tongue, engraved eyelets, leather swing tag and engraved aglets are all spot on and show how much attention has been paid to the little things. 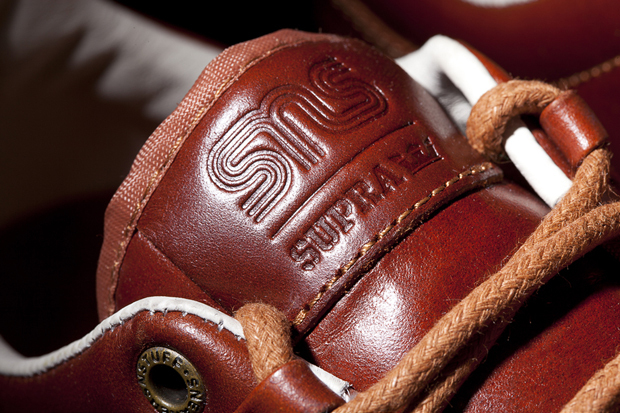 The triple crown embossed leather insole is also a really nice touch – a nod to both Supra’s crown based logo and the Tre Kronor (three crowns) national emblem of Sweden. 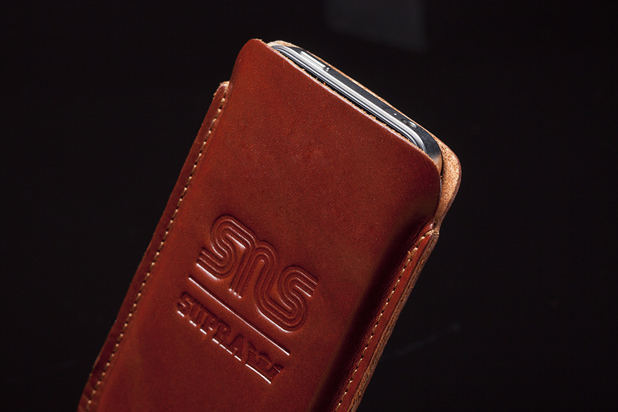 As if the shoes themselves weren’t enough, the duo have made an iPhone case in matching leather with the collaborative branding embossed on the front. Only 365 pairs of these shoes have been made globally, so don’t sleep when they drop tomorrow morning at Hanon.